The year 2017 was definitely a year of diplomacy and cooperation for Eritrea. Here are a recap of the headlines on that regards. 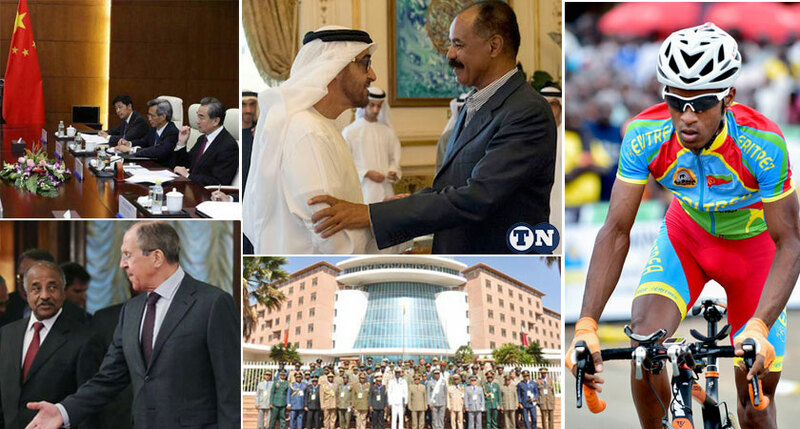 What a year it has been for the world and for Eritrea also. The country has gone through a year of challenges and successes. Stronger diplomatic ties have been registered. New economic agreements have been signed. The capital city, Asmara, entered the UNESCO World Heritage list. Financial reform continues and public diplomacy in the diaspora prospers despite the numerous obstacles that the transnational network is facing. Mobilization campaigns keep on. The year 2017 is definitely a year of transition for Eritrea. In our first part, let’s review the year 2017 for Eritrea with a focus on diplomacy and cooperation. The year 2017 was welcomed by thousands of Eritreans who gathered together on the eve at Asmara’s Bahti Meskerem Square to enjoy the live performances by renowned artists in the country. Despite the freezing night, the young and less young took over the street by dancing and enjoying the show which was also broadcasted live on local TV. Meanwhile, the athlete Nguse Amlesom won the Silvester Vallorca IAAF Silver label road race in Madrid. He became the second Eritrean to win the race after Zeresenay Tadesse in 2010. Alexander Isaak became the youngest Swedish football goal scorer of all time and signed with the club Borussia Dortmund. 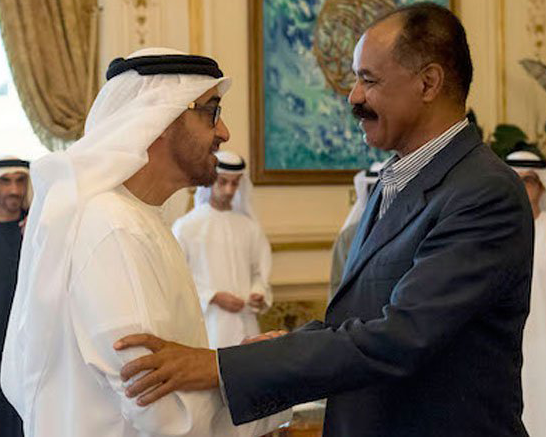 In terms of diplomacy, the year started swiftly for Eritrea with the visit of President Isaias Afwerki to the Crown Prince and Deputy Supreme Commander of the UAE Armed Forces, Al Nayan of Abu Dhabi. They discussed economic and political areas of cooperation to be strengthened between the two countries including regional and international issues of mutual concern. Shortly after, Kenya’s Foreign Minister, Dr. Amina Mohamed, paid a visit to the Eritrean President in Asmara where they shared words on the importance to revitalize the African Union (AU) and the role IGAD must play in enhancing the economic integration of the continent. The Geez Christmas and Epiphany, locally called ‘Timket’, were celebrated in which the Holy Synod Abune Lukas, General Secretary of the Orthodox Church gave his benedictions. In the Diaspora, activities started with the first Congress of the National Union of Eritrean Women (NUEW) in Juba, South Sudan. The Eritrean communities in Australia and New Zealand held their 17th Festival from 12th to 15th January, under the theme of a “Quarter Century of Development and Resilience”. At the event, Foreign Minister Osman Saleh gave a briefing to the community. Diplomatic efforts multiplied. 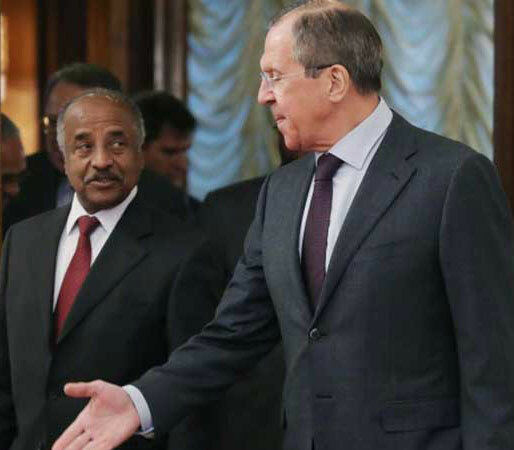 The Eritrean delegation led by Foreign Minister Osman Saleh and Presidential Advisor Yemane Gebreab conducted visit to the Russian Federation. The three day visit focused on comprehensive and mutual cooperation in higher education, trade, mining, and investment, expertise in engineering, technology and medicine. Simultaneously, under the lead of Minister Gen. Sebhat Efrem, the Ministry of Energy and Mines and Colluli Mining Share Company signed an agreement for the potash mining operations in the Southern Red Sea Region. Ambassador Zemede Tekle, Head of the Commission of Sport and Culture, on his side, paid an official visit to Japan focusing on cultural and sport exchange among the two people. The liberation of the Port City of Massawa following the Fenkil Operation of February 10th, 1990 was commemorated and then President Isaias Afwerki conducted an extensive interview with the local media where he looked at projects in infrastructure, energy, water supply and the extension of electricity provision among others. He also elaborated on the further financial measures to be taken during the course of 2017 to ensure macro-economic stability in the long-run and fight money laundering. The two- day interview also looked at regional and international relations and challenges including the role of the Eritrean diaspora that he called the “fourth front”. February saw numerous “Fake News” on Eritrea by Joshua Hammer of the New York Times and the Indian Ocean Newsletter to which the Ministry of Information responded through its press release by condemning the spread of false facts and the country’s relations with other states. Eritrea’s Ambassador to the AU, Mr. Araya Desta, gave a speech on the Report of the Peace and Security Council on its activities and the State of Peace and Security in Africa at the 28th Session of the Assembly of heads of states. The Cabinet of Ministers also held its meeting to discuss the year 2017 budgetary priorities. While 47 civil servants completed their master’s degree program through distance learning, the Chinese New Year was celebrated at Cinema Roma where both Chinese and Eritrean artists performed. Then, the Russian Embassy in Eritrea observed the 180th anniversary of Pushkin in the capital. Cultural exchange continued with the International Film Week organized with the participation of 13 countries under the lead of the Commission of Sports and Culture. It was a stepping stone for hosting the upcoming International Film Festival 2018 in Asmara. During the month, the sub-zones of Asmat and Habero in the Anseba region were declared zones free from Female Genital Mutilation (FGM), setting the example nationwide. A week later, March 8th, International Women’s Day was observed nationally and in the diaspora under the theme of “Eritrean Woman: Guarantor of Sovereignty and Sustainable Development”. 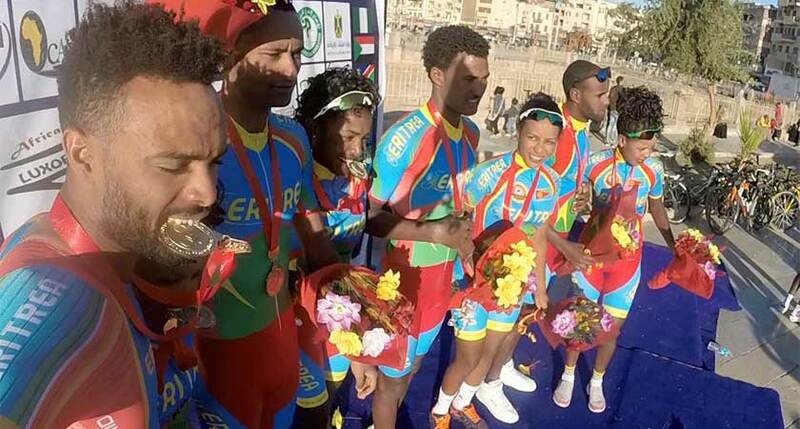 Eritrean cyclists continued to be at the top at major international competitions in Malaysia with Mekseb Debesay while members of the Eritrean cycling team were awarded at the 12th Tour Tropical of Amissa- Bongo in best youth rider and king of Mountains. In terms of diplomacy, Yemane Gebreab, Presidential Advisor and Foreign Minister Osman Saleh paid their first visit to Serbia where they agreed on building close cooperation in trade, investment and education. Soon after, the high delegation went to Morocco for an official visit and discussed areas of mutual concerns. Eritrea’s Ambassador to France and UNESCO, Ms. Hanna Simon, participated at the Communication, Development and Finance Ministerial Meeting in Dakar, Senegal. Diplomatic activities continued in March with the statement at the 34th Session of the UNHRC by the Permanent Mission of the State of Eritrea to the UN in Geneva in response to the oral update of the Special Rapporteur on Eritrea stating an end to the mandate of the rapporteur for being politically motivated. The Senior Delegation continued its work visit to Egypt where the two parties came to an agreement on preventing piracy following a visit by Egypt to Eritrea a week earlier when strengthening cooperation on economic, social and cultural spheres were discussed with the Eritrean President. Eritrea’s Ambassador to Italy, Mr. Petros Fessehatzion presented his credential to Serbia, and the Asmara Art Deco Exhibition was held in Cape Town under the theme of “Asmara: City of Dreams”. Two major events were also hosted in March. 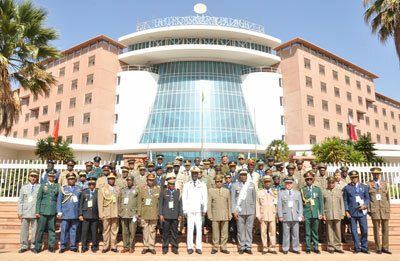 One was the 5th Congress of the Organization of Military Sports in Africa (OSMA) hosting high military ranked delegations from the continent under the theme of “Friendship through Sport”. The second event was the 7th Congress of the National Confederation of Eritrean Workers (NCEW) where President Isaias Afwerki and Mr. Yemane Gebreab gave speeches. The President, in his keynote speech, called on NCEW’s members to draw a roadmap on workers’ rights, work ethics and augmenting job opportunities. Mr. Yemane gave a seminar on the importance of a political system based on citizenship for nation building. He highlighted the importance of enhancing organizational capacity and ensuring the rights of workers, increasing productivity of workers as engines of growth in nation-building. During the month of April, a good number of the population was at the end of lent, a few days from Easter celebration on April 15th. Meanwhile, the first week, diplomatic activity kept its momentum with the visit of an Eritrean high delegation to Juba, South Sudan that met with President Salva Kiir. 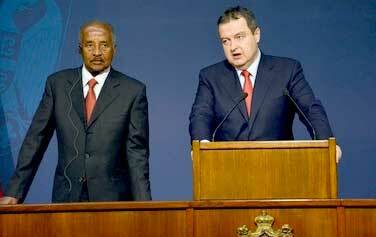 The Eritrean delegation expressed its support for peace and solidarity of the people of South Sudan. The delegation also had a meeting with members of the Eritrean diaspora in Juba. “to the regret of many who worked hard to realize peace, Ethiopia to this date continues to occupy sovereign Eritrean territory, including the town of Badme, in violation of its treaty obligation and international law. The hope of achieving peace and security for the people of the region has been dashed and the opportunity of building a common front for common challenges has been postponed indefinitely”. Eritrea’s Ambassador to South Africa and Southern Africa region, Mr. Khaled Saleh, presented his credentials to Swaziland and Madagascar while Ambassadors to Eritrea gave their credentials to President Isaias Afwerki at Denden Hall in Asmara. 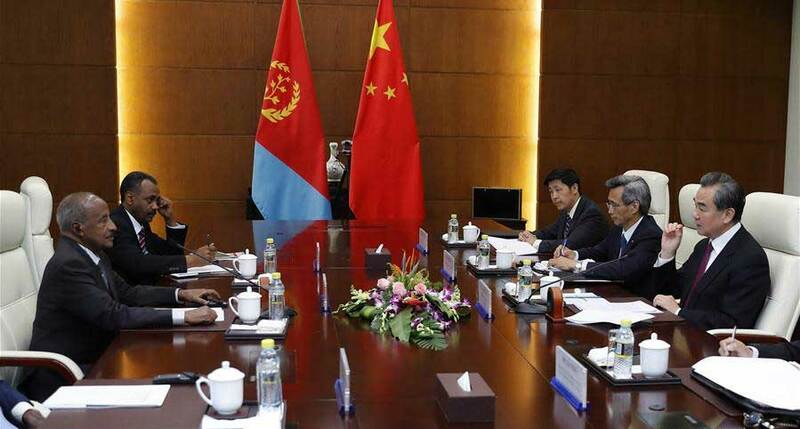 Meanwhile, a senior Eritrean delegation had an extensive meeting with the People’s Republic of China (PRC). During the meetings, Foreign Minister Osman Saleh highlighted issues regarding the EEBC ruling, the unjust and illegal sanctions against Eritrea and the Eritrea-China economic partnership. During the same month, the 7th Health Day was observed in Eritrea under the theme of “Depression let’s talk” where members of the diplomatic corps, UN agencies and the government took part. Meanwhile in the diaspora, a forum of women ambassadors was organized by the Eritrean Embassy in the UK aiming at enhancing a network of Eritrean women professionals in the diaspora. Later on, as tradition dictates, the Euro-YPFDJ Conference took place in Holland where, despite external challenges, hundreds of youth from all over Europe, took part under the theme of “Our Vision: Regional and International Partnership for Peace and Development”. Meanwhile, the Asmara art Deco exhibition continued its tour to Nairobi while resident ambassadors visited Asmara Heritage sites followed by the 2017 Eritrea Cycling Tour for Friendship and Cooperation.